When people hear the word “justification” they don’t always think of a joyful standing place. Instead, it’s often a doctrine tarnished by endless theological debate and historical division. Primer Issue 04 deals with that head on. It includes an overview of the debate from the early church to the Reformation before we annotate some John Owen – who took up the fight in his day. We outline the differences between the Catholic and Protestant positions on justification before wrestling with the “New Perspective” on Paul. Finally we apply this wonderful doctrine to preachers as we show how justification relates to other big themes of scripture before suggesting resources for further reading. This edition of Primer has been very helpful to me as I have prepared a 'Reformation' sermon series. An excellent mix of contributions which are thought provoking, varied, and accessible. 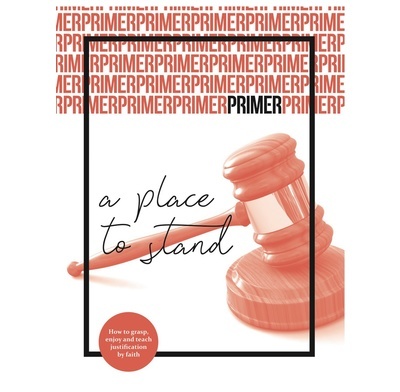 Primer offers a great anthology on the subject of justification that ought to prepare readers to think more deeply on the topic. Another well-presented and thoughtful edition. The format lends itself well to reading in a sitting. It is also useful to have on my shelves an 80 page biblical, historical and contemporary survey of Justification, rooted in ancient faith but aware of current trends. I liked the way that wider views on this issue are presented with respect and fairness. Not everyone will agree with all the conclusions but Primer does what it says on the tin. It clears the way for further thought on this doctrine, with a view to enjoying it, living it, and communicating its liberating message to others.